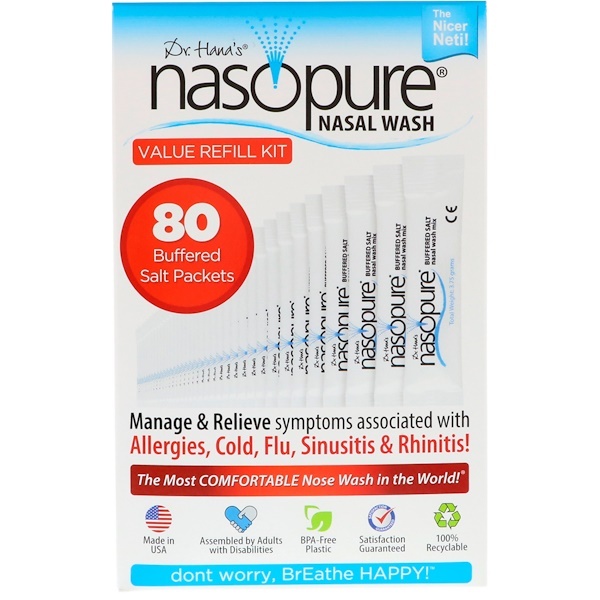 Manage & Relieve Symptoms Associated with Allergies, Cold, Flu, Sinusitis & Rhinitis! 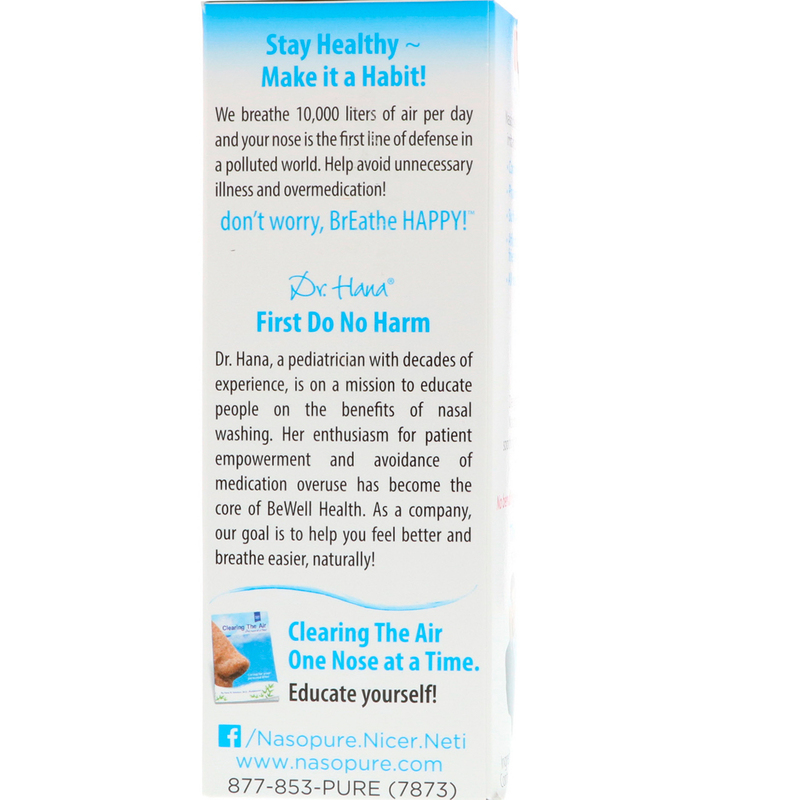 We breathe 10,000 liters of air per day and your nose is the first line of defense in a polluted world. Help avoid unnecessary illness and overmedication! Clearing the Air One Nose at a time. Educate Yourself! Nasopure buffered salt reduces the burning and irritation commonly felt with other salt mixes! 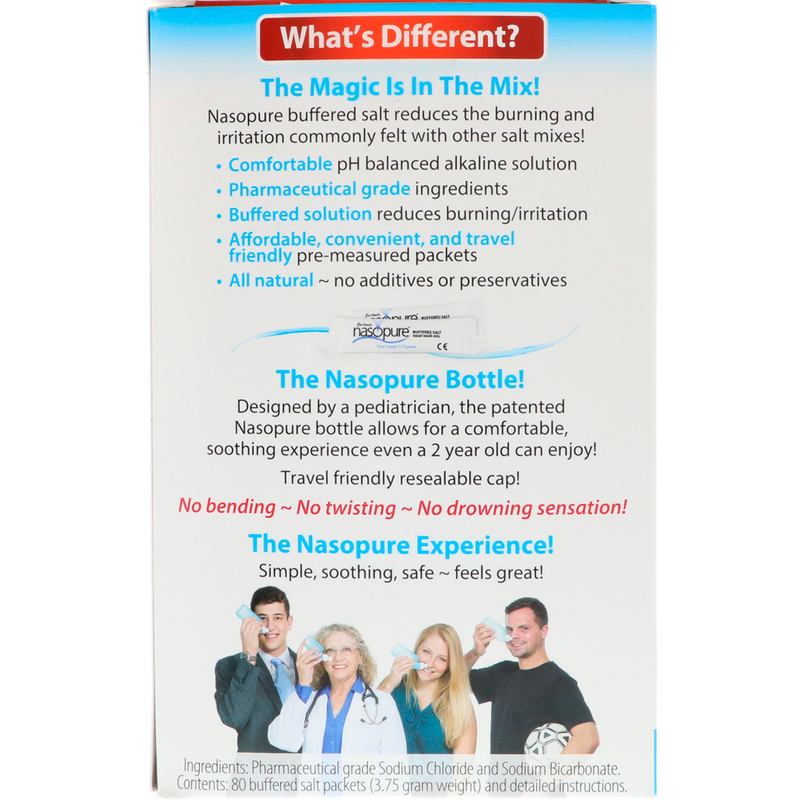 Designed by a pediatrician, the patented Nasopure bottle allows for a comfortable, soothing experience even a 2 year old can enjoy! Travel friendly resealable cap! No bending ~ No twisting ~ No drowning sensation! Simple, soothing, safe ~ feels great! Contents: 80 buffered salt packets (3.75 gram weight) and detailed instructions.